Kim Lisagor writes about philanthropy, travel, sustainability, parenting and liquor—sometimes all at once. You can find her work in Outside, Mother Jones and lots of other places. 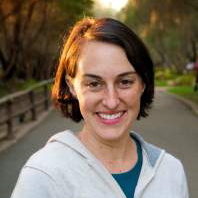 Her most recent book, Disappearing Destinations (Penguin Random House, 2008, with Heather Hansen), won the Outstanding Book Award for General Nonfiction from the American Society of Journalists & Authors. She also wrote Outside’s Wilderness Lodge Vacations (W.W. Norton & Co., 2004), which won the Lowell Thomas Award for best guidebook and an Award of Excellence from the North American Travel Journalists Association. Lisagor is active in international and community service and has served on boards from Rotary to PTA. Her most recent passion is teaching elementary school kids to code. She teaches multimedia journalism at Cal Poly and lives in San Luis Obispo with her husband and their son, dog and gecko.